The horrific shootings yesterday in Paris, France at the office of a satirical paper have shocked the world. To the people of France, our colleagues Parti Pirat du France, and the families and friends of those wounded and killed, the United States Pirate Party sends our deepest condolences. In the United States, soon after the news of the tragic killings broke, many elected officials spoke about the attacks. One of these officials, Senator Lindsey Graham (R-SC) took the time to condemn the attacks, but also state that the reforms desperately needed to the NSA’s admitted illegal spying are “eroding” any way to prevent such an attack. The Senator from South Cowardina hasn’t yet noticed that despite all the reforms that have been made to rein in our far-overreaching intelligence programs have been extremely minor, despite Graham implying otherwise. In fact, the bill to reform the bulk metadata collection program of the NSA was just two votes shy of breaking the Republican-led filibuster that stopped the bill in its tracks. For certain, the Pirates would love to know what “common sense” Graham used to tell journalists to “be concerned” when speaking on CNN yesterday. Should they be concerned that Graham and other chickenhawks will try to erode freedom further by expanding the NSA’s already admitted illegal actions? Stating that “even though it’s in France, it’s an attack on us” doesn’t send a message of solidarity at all, but of self-centeredness and egotism that has pushed America into conflicts that we do not belong in, using tactics that have not been proven at any point to stop these sorts of attacks, including interrogation, torture, and the mass collection of metadata. To continue to allow the NSA to run unchecked is to cower in fear of those who would do us harm. As Charlie Hebdo editor Stephane Charbonnier, who died in yesterday’s attack, said he would “rather die on my feet than live on my knees” in fear of retaliation for his work, we Pirates must stand and fight against any sort of lax rules regarding the NSA’s spying and further infringement upon our freedoms, including freedom of the press and freedom of speech. Instead of allowing our Government to take more of our rights away, we must fight onward and not fear whatever may come from us using our voices and votes to fight for a world we want to live in. Publiced at January 8, 2015 by Liz Gorski in Press Release. Does the Pirate Party call for democratic reform? 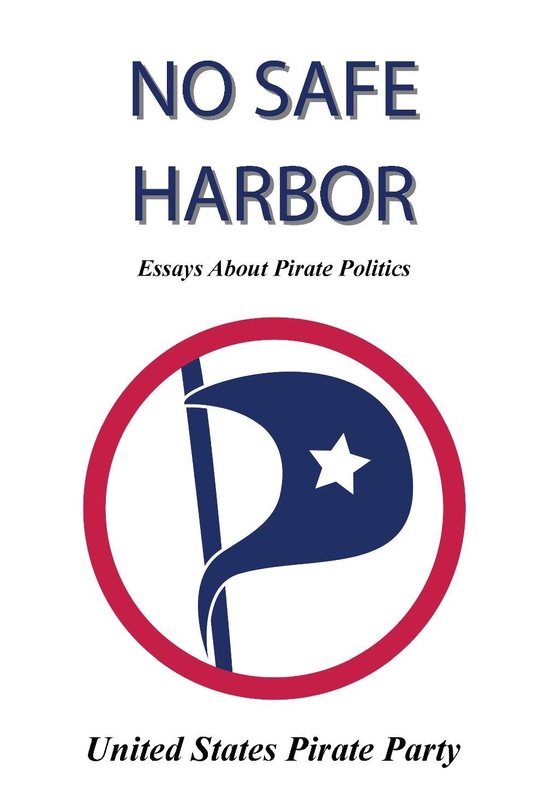 Does the Pirate Party call for verifiable vote-counting, for our political election? Without verifiable vote-counting, there’s no democracy. It’s truly said that, now, the real voting-power belongs to whoever counts the votes. At least 5 political parties in the U.S. advocate a better voting system for the new government that they propose. They all offer Instant-Runoff (IRV) , for that new voting system. For the conditions that would obtain after the election of a progressive party to office, Instant Runoff would be an excellent voting system. IRV meets the Mutual Majority Criterion, which, in brief, ensures that a majority who support eachother’s candidates is sure to elect one of those candidates. IRV is completely free of the Chicken Dilemma, a problem that plagues nearly every other voting system. That’s a powerful combination of properties. The voters rank, in order of preference, as many or as few candidates as they want to. A candidate “tops” a ranking if that ranking doesn’t vote anyone else over hir (him/her). Delete the candidate who currently tops fewest rankings. Contunue till one only one candidate remains un-deleted. 1. Candidate X “beats” Candidate Y if the number of ballots ranking X over Y is greater than the number of ballots ranking Y over X. 2. Do Instant-Runoff till there’s an un-deleted candidate who beats each one of the other un-deleted candidates. S/he wins. (Obviously, if there’s such a candidate before Instant Runoff is applied, then s/he wins immediately, without any use of Instant Runoff). Benham’s method additionally meets the Condorcet Criterion, which ensures that a candidate who beats each of the others will win. Each voter may “mark” as many candidates as s/he wishes to. The winner is the candidate who is marked by the most voters. Democracy can’t really work unless the mass media are completely open, honest, inclusive and participatory. The media must not be owned by individuals or companies, and must not be used to further anyone’s agenda, but must instead be a means for the public to openly and freely communicate with eachother.